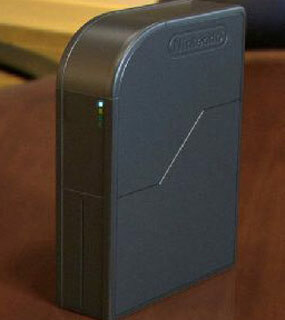 Nintendo Wii Successor Not to use the Hard Disk. ~ " World Information "
Jakarta - Successor Nintendo Wii game console is rumored to not have a hard drive for media penyimpannya, but only use flash memory capacity of 8GB. Really? Generation Wii codenamed 'Project Cafe' is scheduled to begin show up on the arena Electronic Entertainment Expo (E3) 7 to 9 June 2011. Despite offering a number of brand-new features, but the problem of media storage this console seems a little behind when compared to the Xbox 360 or PlayStation 3. Quoted from Kotaku, on Wednesday (05/04/2011), a source who did not want to be named claimed that the 'Project Cafe' will only use flash memory to 8GB. Very little indeed, when compared with other consoles that have been mencapi hundreds GigaByte. And if true demikia, then the predicted Nintento will not provide much content that can be downloaded. But the Industry was launched Gamers, 'Project Cafe' will also use pieces of disc rival Sony Blu-Ray. It is said to reach 25GB per disc capacity.